Inspection fees for a typical single family home vary by geography, size and features of the property, and age of the home. Additionally, services such as septic inspections and well testing may be warranted depending upon the individual property. Prices vary. It is a good idea to check local prices in your area as you consider a professional home inspection. Do not let the cost deter you from having a home inspection or selecting an inspector you are comfortable with - knowledge gained from an inspection is well worth the time and expense. The lowest-priced inspector is not a bargain. 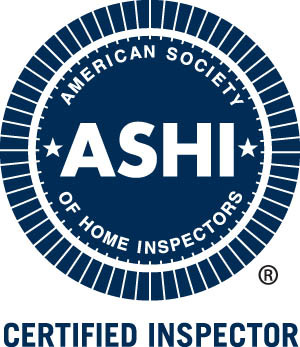 The inspector's qualifications, including experience, training, and professional affiliations, should be the most important consideration in your selection. My usual fee starts at $600. For large or complicated houses, there may be additional charges. There may be additional fees for mileage outside of the Los Alamos / Santa Fe / Espanola area. Is a professional home inspection worth the extra cost? I ask you to consider the value of a cheap inspection. What is a $50 or $75 difference in price compared to your potential exposure if, due to inexperience or haste, your "low budget" inspector overlooks an expensive defect? On balance, you will find that hiring the best doesn't cost, it pays! Why is price last on the list? When you started searching for a home, did you say to yourself, "I am going to look high and low and find the cheapest house I can"? Of course you didn't. What you wanted was the best value for your money, right? You should want the same from your home inspection. Don't just go through the motions of having an inspection done. Get it done well with a truly qualified professional. Today's homes are complex engineered systems that must be properly assembled and maintained. A professional home inspector is one who has an understanding of building science and knows how your home systems are meant to interact and also understands the common ways in which they will fail. Just as importantly he also knows how to communicate this information clearly and concisely. This knowledge comes with education, ongoing training and experience.